Happy New Year: 1 million players! Thank you everyone for making BGA such a big success! This year, we published 27 new games, including very popular ones like Russian Railroads, Bubblee Pop, The Builders, Carcassonne expansions or Roll for the Galaxy. This is quite a lot, and we couldn't have done it without the support of the developers from the community who helped us to create some of these wonderful game adaptations: thanks to all of them! During the same period, we introduced this year a lot of improvements on the website itself, including the community-based translated news, the "hotseat" mode, the revamped audio/video chat, the 3D mode. We worked a lot on BGA Studio, our portal dedicated to developers, to make it faster, easier to use and more efficient to bring new games on BGA. We also put a lot of effort on the "Simple mode" of the game lobby, which we'd like to use at the default for beginners. As you can imagine, all of this required a lot of work: we have been able to handle it thanks to the great help of the community and because now the 2 admins have left their outside job and are working fulltime on Board Game Arena. We'd like to address a particular thank you to all Premium members: without your financial support, we wouldn't be able to spend enough time to run BGA. We wish you an happy new year 2018 full of fun & games! Re: Happy New Year: 1 million players! Subscribing is worth every penny. Congratulations! Wishing you continuing success in 2018! Thank you for a great 2017 on BGA. I love this site, and you guys do an amazing job running it. Proud to be a premium member. Its worth every penny! 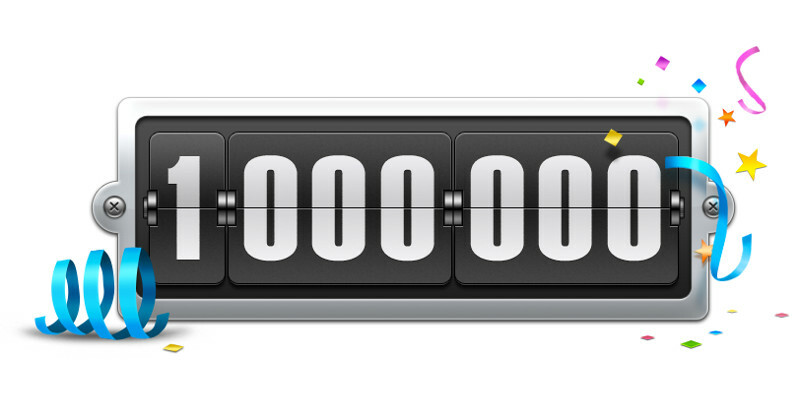 ... but happy 1 million players, it's great this site exists. Last edited by Isdariel on 02 January 2018, 20:11, edited 1 time in total.